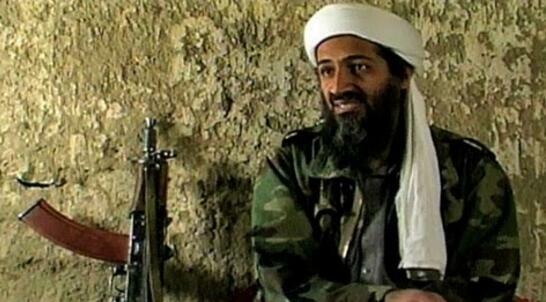 Osama Bin Laden's son, Hamza has reportedly threatened the US over his father's death. Personal letters seized in the raid that killed bin Laden show that his son, Hamza, is set on avenging his father’s death. Hamza recently released a message threatening US in his father's language. According to news reports, Osama bin Laden’s son, Hamza is reportedly seeking revenge for his father’s death and is poised to become the new leader of Al Qaeda. Former FBI agent, Ali Soufan, while speaking to CBS News in an interview said: “He tells him that…he remembers ‘every look…every smile you gave me, every word you told me." Soufan also said that Hamza considers himself “to be forged in steel.” When he was younger, Hamza was used as a propaganda tool in his father's videos in which he was seen sometimes holding a gun. The agent added that he had even started to sound like his father. Soufan said: “His recent message that came out, he delivered the speech as if it’s his father, using sentences, terminology that was used by Osama bin Laden." Hamza is believed to be about 28 years old and has been named as a “specially designated global terrorist” by the U.S., as he has recorded four audio messages in the last two years aimed at the U.S. The Nigerian Army has intensified the war against insurgency as it arrested a suspected Boko Haram terrorist on Saturday, May 13. In a statement by Brigadier-General Sani Kukasheka Usman, he said the fleeing terrorist who was captured on morning patrol and preliminary investigation showed he was from is an indigene of Bulabulin village, Fika Local Government Area, Yobe State. Surprise is hidden in this line! Click!